We arrange delivery the next business day after your payment has been received. 98% of orders are dispatched within 24-48 hours of payment. After we receive your payment you will be notified via e-mail as to when your order has been shipped, along with a tracking number and a link to monitor the status. Metro regions delivery is usually within 1-3 days, however, please allow up to 10 days for the more remote regions. Our couriers don't deliver on public holidays, weekends or after hours. We deliver goods via national courier networks; they will need a physical street address for delivery. Because of the over-size/weight of most of our products we, unfortunately, are unable to deliver trampolines to P.O. Boxes or Private Bags. If it is a small item e.g. small qty of springs, or a small jumping mat we can post out, but most of our items are too oversized for Postal delivery. We ship within Australia and New Zealand only. For other countries please contact us if you wish to arrange your own pickup, shipping paperwork and processing to your designated country. We run a transparent shipping charge system. Each item selected is costed out to your destination based on what the available couriers will charge, giving you a choice of delivery service where available. Calculations are made by suburb and region prior to purchase. We use a New Zealand based logistics co-ordinator to organise our freight for New Zealand wide deliveries. This 3PL service provider uses various national couriers who may additionally use other freight management services to coordinate delivery to you, especially for some regional areas. If you wish to choose a particular day to have a trampoline delivered, for example, the day of a birthday, please call us to arrange this and we will do our best to help you. You can select 'Pick Up From Store' and arrange your own independent courier but the driver must come with paperwork completed or you must have sent us paperwork already completed. Items will not be sent until the paperwork has been arranged by you or your freight company. 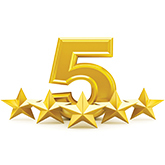 You will need to notify us when the item is to be collected and by what freight company. Items are only released after the item has been paid for in full. We welcome our customers to come and pick up from the Otahuhu warehouse, there is no charge. Your request needs to be in our system, paid for, then we will release your order to the warehouse to prepare your item for pickup. For pickup requests outside of normal business hours there will be an additional "Outside Hours" fee. 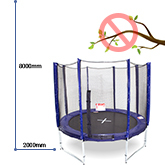 You need to bring a suitable sized vehicle to pickup your items, each trampoline set has the relevant box size and weight information on the product page, please check this prior to going to the warehouse. 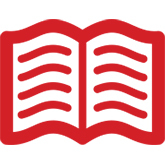 Please see our Contact page for business hours and contact details. 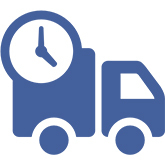 General delivery is charged at a basic rate and for a standard delivery time frame (which is reasonably quick). If you need something on a more urgent basis by a specific date, please contact us to get further options for you prior to purchase. As a guide our Trampolines can be expressed overnight to numerous parts of Australia and New Zealand, however, the cost will be substantially higher! Note: this service does delivery after hours and on weekends. If your order has already left our warehouse it generally cannot be switched to this service. In the unlikely circumstances that you receive an incorrect or faulty item, we will do our best to resolve all cases as quickly as possible. See our returns information for details.